Hello everyone and welcome to ukrlider.org.ua. I am not saying this just because it is mine, but this is the best site for gaming news. I'm Ludwik Grabowski and I enjoy writing about games. Whether you like classic games or the latest titles I got you covered. 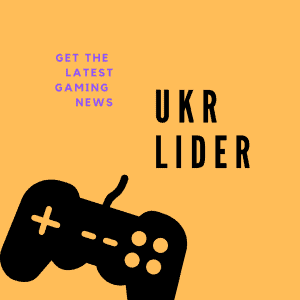 If you enjoy this website and want to follow me regarding important updates, please subscribe to UKR Lider, you won't be disappointed. PWN! Copyright © 2018 - UKRLider.